Health workers treating Ebola patients at a clinic in Sierra Leone have gone on strike, protesting about the government’s failure to pay an agreed weekly $100 “hazard payment”. The staff includes more than 400 nurses, porters and cleaners. The World Health Organization (WHO) has declared the Ebola outbreak a global health emergency. About 60 patients had been left unattended because of the strike at the clinic in Bandajuma. There are international staff at the clinic but they are unable to keep the clinic open on their own. The staff, who are protesting outside the clinic, say the government agreed to the “hazard payments” when the facility was established but has failed to make any payments since September. The money was due to be paid in addition to salaries the staff receive from MSF. Earlier, the Malian authorities confirmed that a nurse and the patient he was treating at a clinic in Bamako had died. The patient, a traditional Muslim healer in his 50s, had recently arrived from Guinea. 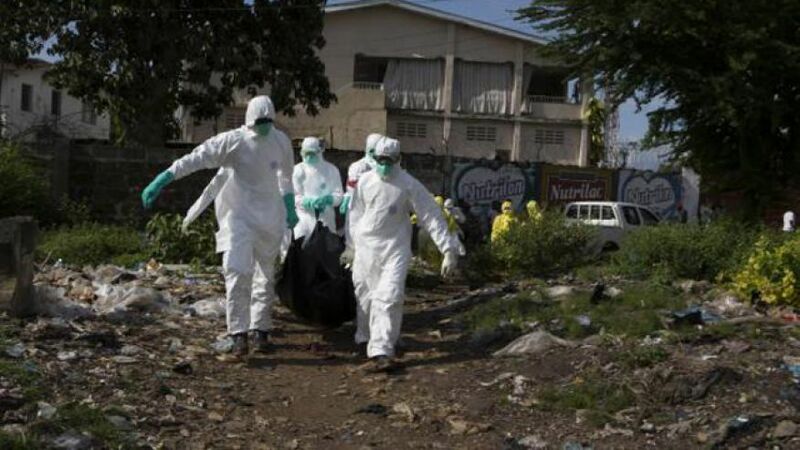 The current outbreak is the deadliest since Ebola was discovered in 1976. Ebola was first identified in Guinea in March, before it spread to neighboring Liberia and Sierra Leone. The WHO says there are now more than 13,240 confirmed, suspected and probable cases, almost all in these countries.